It's that time again. 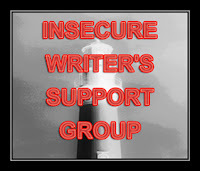 The insecure writer's support group. And the insecure writer is virtually any writer who ever lived. The support group gets one thing right. One thing that writers have really always had but have today in abundance. The keyword here is "group." Rejection comes. It's part of life, or at least it's part of writing. Failure comes. It's part of life, or at least it's part of writing. But there isn't a stronger community than this one. I posted some goals in January. I'm not close to meeting most of them. I struggle every day and do what I can. But since I've started blogging again, I'm more optimistic. I feel more connected. My words reach very few. I'm aware of that. But last week, I was reading blogs and commenting. And I came across this blog. The blogger wanted to write for woman's world, but it was new to her. She hadn't heard of it before. She linked to my writing for woman's world series as being especially helpful. And I realized that is what this is all about. She stumbled across my blog one day and found an opportunity she didn't know about. In time, I came across her blog and found that my words had inspired someone. And that is what this is all about, right? So I'll keep chugging away. I will write word after word. It took Leo twenty-five years to get his Oscar, and maybe in that amount of time I'll have my million dollar deal. But until then, I have this community to "lean in" to. We all have this community, and there isn't a stronger one out there. There is no other community in the world where your competitor offers to package your product for free, or you can email a total stranger asking for specific--and maybe time consuming--advice and fully expect and most likely get an answer. A bestseller once called me to discuss marketing strategies for my books. I offered to pay her since she offers coaching services. She told me I didn't need a coach. She said you just need to feel empowered, and I can't give you that. To put this in perspective, it would be like Mark Zuckerberg calling my engineer husband and offering him career advice. If you're not where you want to be yet, you probably still have things to learn. That's okay. We all do. But you have a community of people who are usually willing to help you with that. Reach out. Lean in. Stay connected. What have you got to lose? This is so true! Last year I nearly gave up blogging and just couldn't get into any kind of a rhythm with any kind of writing. I realized I missed blogging and since I'm doing it on a more regular basis I feel like my writing is back on track too. It made me realize how important this community and the connections are to me. An inspiring post, Beth, and you're right. Writers are the most generous people in the world. They share their knowledge with those who are struggling. They lift you up when you're down. They laugh with you, cry with you, and they're always there. And I think we learn continually. Well said, Beth. And sadly, very true! I struggle with everything you mentioned on a daily basis. But I do my best and am not about to give up. 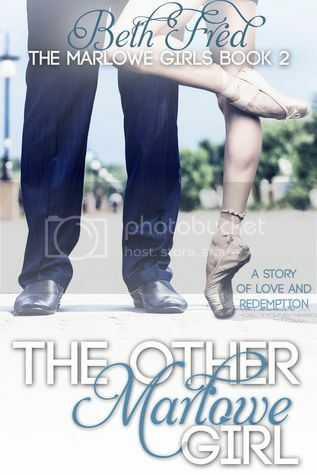 I don't get much notice from my blog either, however one day a lady found my blog (we still have no clue how she happened upon it) and liked a tip that I was giving about printing out one chapter of each of her books and giving out at book signings. The next day, as weird as this may be, we both ended up at the exact same book signing, in the exact same booth!! We have been the best of writing buddies ever since and attend almost all of our book signings together and share a table. So even though blogging sometimes makes you wonder why the heck your bothering...you just never know what good things can come out of it! Great post. That's why this community is so awesome. Really cool she linked back to you. See, you are making a difference! And it doesn't matter how long it takes. Only that we don't quit.